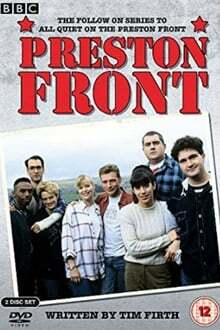 All Quiet on the Preston Front (or the shortened Preston Front as it became known for series two and three) was a BBC comedy drama about a group of friends in the fictional Lancashire town of Roker Bridge, and their links to the local Territorial Army infantry platoon. It was created by Tim Firth and ran from 1994 to 1997. Season 3 of (All Quiet on the) Preston Front premiered on July 21, 1997. We don't have any reviews for (All Quiet on the) Preston Front. We don't have enough data to suggest any TV shows based on (All Quiet on the) Preston Front. You can help by rating TV shows you've seen.